I have a confession to make. I’ve never had an authentic lobster roll. I’ve only actually been to the East coast once, for a nutrition conference. Those things are so crazy busy that exploring and doing touristy things (which to me means sampling the regional food) is nearly impossible. So no lobster rolls for me. 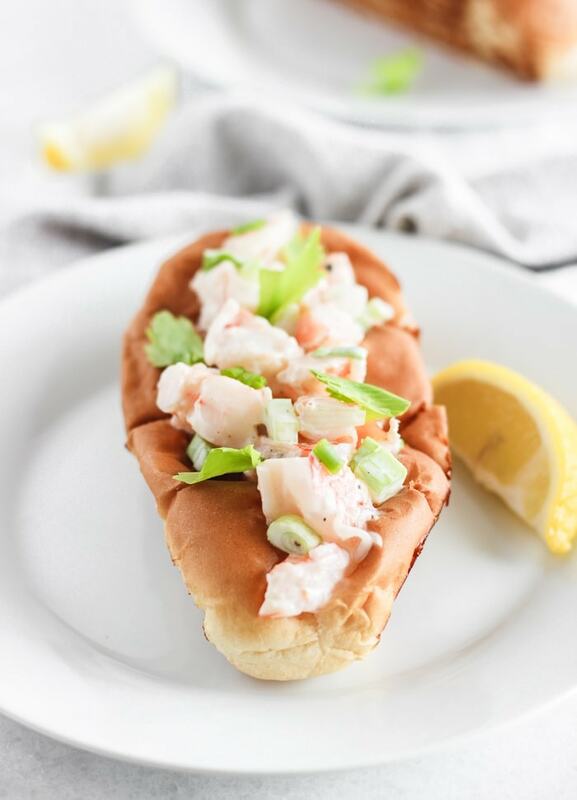 The first time I had a lobster roll was one that I made at home. And it was darn good. But honestly, I have no idea how it compares to the real thing. 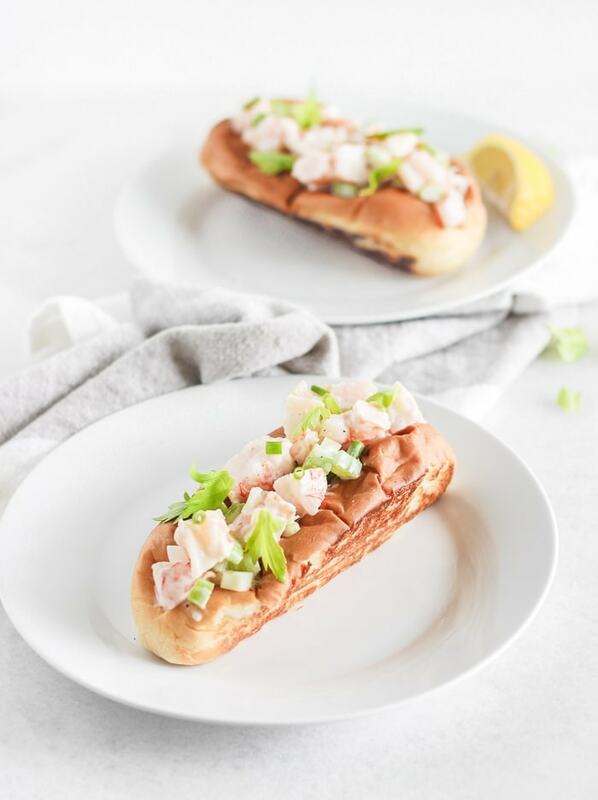 And what’s more, who wants to spend all that time preparing lobster, only to mix it with mayo and put it on a bun? Sorry, but if I’m buying lobster and working that hard to eat it, I’m going to enjoy it fully, straight from the shell. 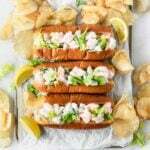 Which is why I made these New England style shrimp rolls instead. 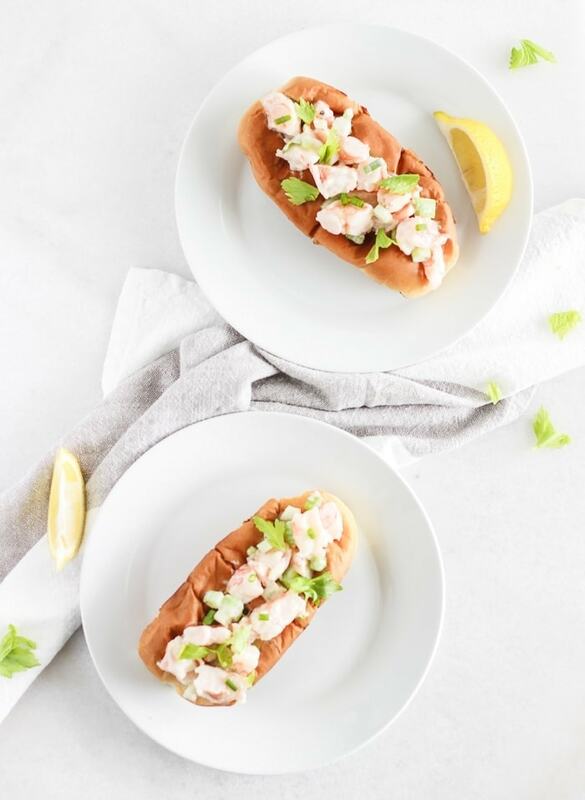 With these New England style shrimp rolls, you get an easy, delicious summer seafood dish that’s perfect for a quick dinner or for entertaining friends with some cold adult beverages. 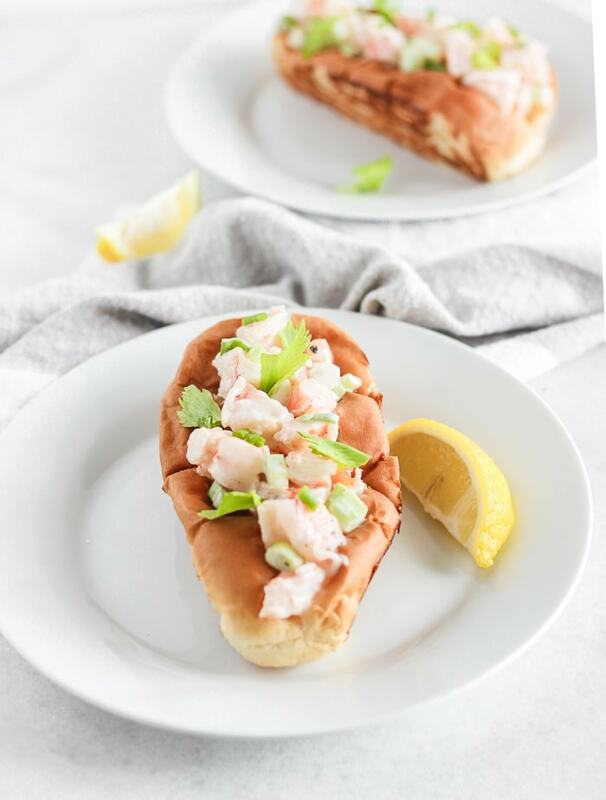 You can even make the shrimp salad ahead of time so that all you have to do is toast the buns, and you’re ready to go! No cracking (or buying) lobster required. Enjoy! Place raw shrimp in a small saucepan and cover with water. Bring to a boil over medium heat and boil until shrimp are pink, about 3-5 minutes. Drain and cool. Cut shrimp into bite-sized pieces. Place in a bowl with celery, green onion, mayo, lemon juice salt and pepper. Stir to combine. Heat a skillet over medium-low heat. Spread both sides of each bun with butter. Toast on each side until golden. Fill rolls with shrimp salad. Sprinkle with celery leaves and chopped green onion, if desired. Shrimp salad may be made up to a day ahead. Store in the refrigerator in an airtight container.